← The Old Typewriter gets the dust blown off. Write On- Researching your fiction, is there ever an end? I shouldn’t be writing this post as I am so guilty of what I am about to write. I love research. I love the tease of a new idea, discovering a bit of history I never knew about, and I know from past experience, I will lose hours in libraries and books, learning, reading about things…well let’s be honest here, things that have nothing to do with what I am writing about. I even love the bits before the research, selecting the note books, getting my inks all set for my pen, and even taking the train into town. My book cases are full of those explorations! Recently I headed up to the British Library Newspaper Archives, to research an article published in 1925 in The Weekly Dispatch. Now I knew what I was looking for, and I did find it rather quickly…. But… but… but…I spent a good two hours reading about hair tonic, wool underwear, and I drooled over the prices of a new three-piece suite, ( which I am in need of). I stumbled out of 1925 blurry eyed back into 2012 some six hours later! I was working on a piece of non-fiction and in my defence, I can say the hours spent trolling over the old adverts and articles did add to my understanding of the era. None of which I would use in the piece, but, it does give one a strong sense of reality when writing about events in the past. I would never have dreamed that women wore wool undergarments. Just thinking of it made me scratch, but then I reminded myself of my lovely cashmere scarf and well…if would be nice made into undergarment on a cold winter’s day, especially when you consider most houses and shops were still heated by coal fires in 1925, But when do you stop? When do you know when you have enough research? Just this paragraph is proof enough. Nothing I just wrote has anything to do with the article I was researching. Nothing. But there you go, that is the danger, and the pleasure of research. At some point you have to stop and start writing. Research is such a tricky path. It is so easy to get lost and spend countless hours gathering information that will never be used, and sometimes the research becomes so time-consuming that when it is time to write, the fire has gone out of the pen so to speak. 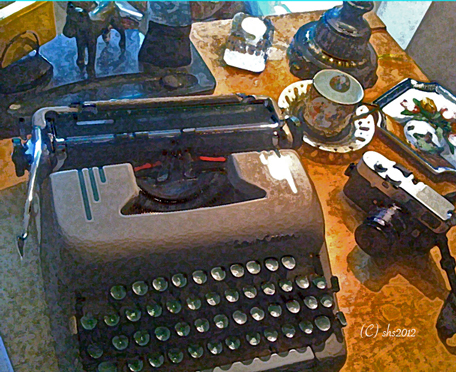 Write the story out first, the first draft, get that mental vomit out, make notes of important dates, things people do and when, and then after the first draft is written, go back and find out what kind of gun would have been used in 1930, did women curl their hair with coal heated hair tongs? Did Chinese Whispers undo a nation, and so on. You do need to have the basic research facts written down in your notebooks, a calendar, war started on this date, ended on this date sort of thing, so you don’t end up wasting time with story that could not have happened on those dates but the rest, save it for another draft, and then try to highlight the areas that add interest to the reader, help cement them in the time period you are writing about, unless you are like me and love getting lost amongst hundreds of yellowed old newspapers, which I know I will do again, no matter how hard I try! This entry was posted in writing and tagged Art, Book Writing, Fiction, Research, The British Library, The Weekly Dispatch, Writer, Writer Resources, Writers Resources, writing, Writing resources. Bookmark the permalink. 5 Responses to Write On- Researching your fiction, is there ever an end? It’s a tough one Carrie. I wrote out my first draft of my WW11 Novel, and let it sit to go back and do research. Whilst doing the research I found some items that added a whole new exiting theme and has enriched the first draft! Now the task on hand is to blend the notes from those endless notebooks into story! Frustrating at times! Sometimes I think research is a great escape instead of the tool it’s meant to be! I just love the fun of it! Best of luck with your WIP! My novels require quite a bit of research, and like you, I could get lost in it. I set a deadline and know I have to be done by that date. And, I really do not fill notebooks or take notes on extraneous research…….whatever ‘sticks to the wall’ is what was worth putting in a story. If I can’t remember it after a little time passes, it wasn’t interesting enough to include. I think we need the layers of general knowledge as well as the specifics related to a time period in order to write. Hi SideVie! Thanks for visiting! The best books around do have layers, and not visible to the reader. That is what makes flow and imagination become reality! I so agree with your comment, we do need layers of general knowledge! Here’s to more of it!